Posted in Indie Polish, Manicures, Nail Art, Nail Swatches, pictures	by Jessica W.
Good morning everyone. Today is a quick post to remind you that it’s the anniversary of my mom’s death and that on social media today I’ll be posting the random acts of kindness my children and I will be performing in her honor. I’ve talked about my mom before (and memories of Almond Roca) and about the RAOK Day if you care to read through these posts. This is last year’s manicure. I’m finding it harder and harder as the years go by to remember my mom – well certainly not her in a general sense but in a specific sense – the feel of her face, her voice, her laugh, the way she would hug me and tell me to hold my babies tight. So each year as her anniversary comes up, I try even harder to honor her and the lessons she taught me – as a mom, wife, and human being. Each year on this anniversary, my kids and I go throughout our city performing random acts of kindness as a way to honor her. I’m also finally getting a memorial tattoo this year! If you’re able to join us, please do so – take a pic and share it on ig or Facebook with the hashtag #RAOK4Lucy. 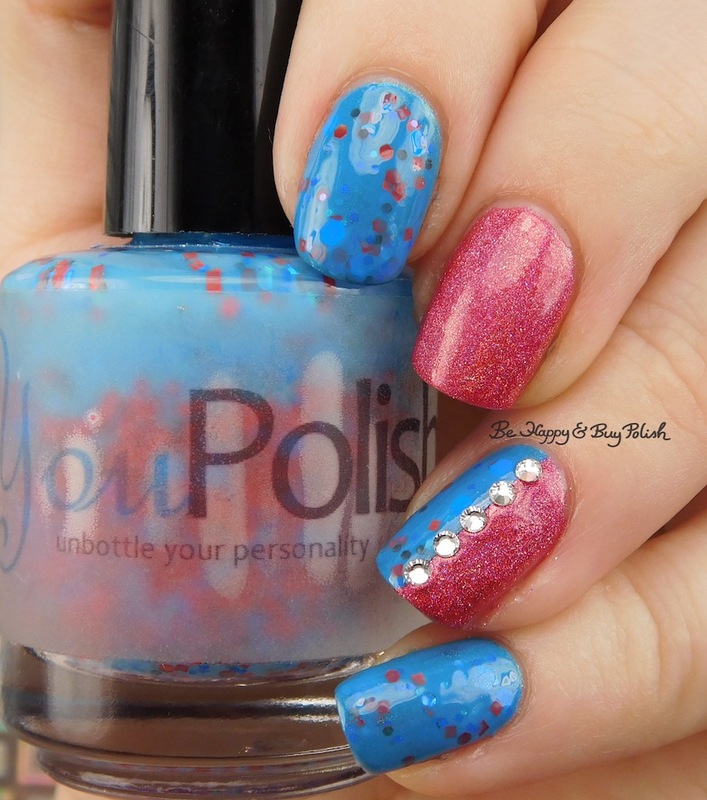 Today’s manicure is using You Polish Lucy’s Sparkle, of course. This year I layered it over Celestial Cosmetics I Don’t Give a Fox. You can’t really tell though. I’ve also paired it with Illyrian Polish Sakura from the March For the Love of Indie box. This is 2 coats plus top coat. 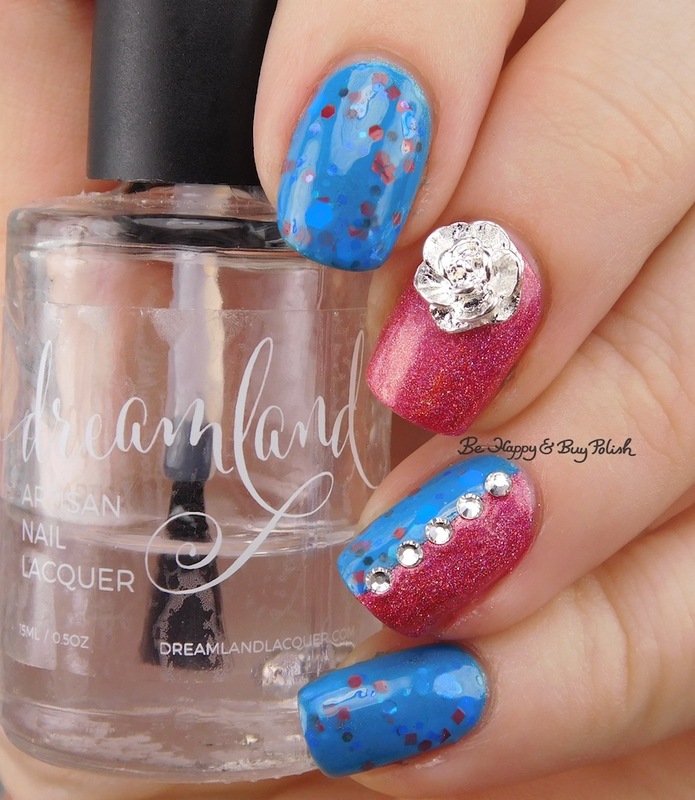 Lastly, I’ve used a rose nail charm from Daily Charme and small clear crystals from Crystal Parade to finish this look. I’m going to do a full review on the nail gems I bought from Crystal Parade, but so far I like them. I think this is one of my favorite manicures I’ve ever done for her day! I know I’m already looking down at it and smiling, thinking of her. I hope that you hug your loved ones close today, remembering that life is fleeting. You may never get another chance to say “I love you” or “I’m sorry”. ❤ Be kind, and be gentle. Lovely manicure in honor of your mom. That rose charm is very pretty. Hi Jessica! I love that you are doing RAOK in honor of your mom. What a wonderful way to honor her memory. I too lost my mom, we lost her suddenly over 26 years ago. It has been getting harder to remember everything about her, as you mentioned is happening with you. Do you have videos or recordings of your mom? I wish I did. It would help when I feel memories of her slipping. ((BIG HUGS)) to you today. We have her voice recorded, thankfully. Lots of hugs to you too! This is such a cool colour combination!